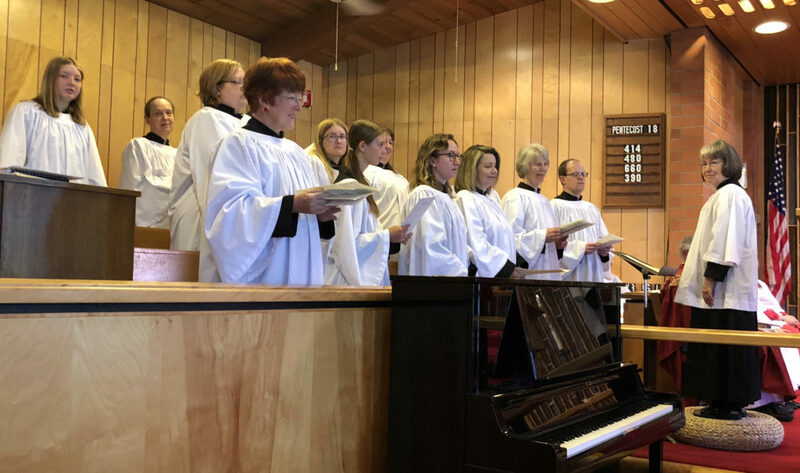 The Chancel Choir sings at the 10:30 am Eucharist from September to May and on all major church festivals. Singers are welcome to join the Chancel Choir once they enter Middle School. Rehearsals are on Wednesday evenings from 7-8pm. Please contact Nelly Case (casenm@potsdam.edu) for further details. The Chime Choir is a new ministry at Trinity on the Hill, and we are thrilled to begin working with the young singers of the parish. Rehearsals are on Wednesday evenings from 4:45-5:30 in the choir room. A family friendly dinner will follow from 5:30-6 in Kelly Hall. Singers aged 4 1/2 through 11 are welcome and encouraged to participate. Please direct any questions to Valerie Fassbender (momto3ducks@gmail.com).